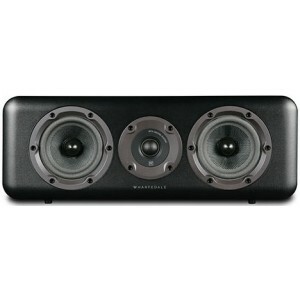 Centre speaker in the D300 range, match with the D310 and D320 or D330 for a great AV setup. 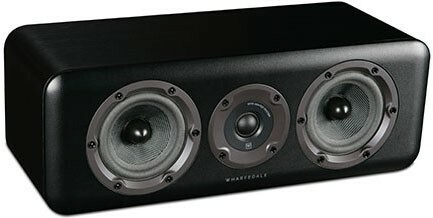 Wharfedale D300C is the centre channel speaker in the D300 range which can be matched with any speaker in the range for a great home theatre set up on a budget. This range exceeds conceptions of how good a ‘budget’ speaker range can be. Wharfedale created the blueprint for modern ‘budget’ hi-fi speakers in the 1980s with the first-ever Diamond – the classic entry point to high-fidelity sound. Almost four decades on, Wharfedale again redefines the low-cost, high-performance speaker concept with an all-new range - the D300 Series. The range consists of four models: two compact standmount speakers the D310 and slightly larger D320 plus a floorstander called the D330. These are joined by the D300C centre channel speaker for home cinema systems.